Before mixing your product, make sure the size and depth of your hole is twice that of your post. If the hole is too shallow, it will affect the product strength and guarantee unnecessary spillage which could have been avoided. You should use one bottle per hole for the best finish. Post Fix bottles are acclimatised at 22 – 25˚C. Bottles that are stored below these temperatures will result in the process taking longer and less expansion of the mixture. The mixing process will generate heat but leaving the product in a warm place will further benefit results. Make sure to shake the bottle for 20 seconds, no more and no less, to get the most accurate results. 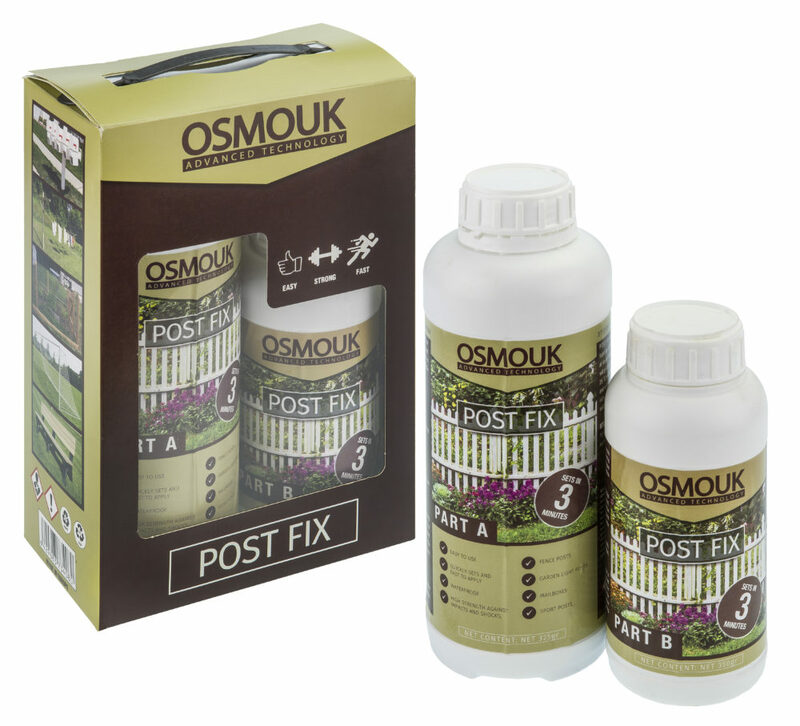 It is very important to apply Post Fix to your hole instantly after mixing – failure to apply straight away may result in expansion and solidification within the bottle. This will not only render the product useless but also dangerous. Also, not mixing for long enough may mean the mixture will struggle to rise or not rise at all. When the OSMOUK Post Fix product begins to rise, it could overflow out of your hole, depending on its depth. Simply cut away at the excess mixture with any sharp knife. Doing this allows dirt to be placed around the post easily and generally makes for a neater finish. Do you have further questions about using OSMOUK Post Fix? Visit our FAQ page to see if it has been answered there, or contact us using our easy form. You will need one OSMOUK Post Fix per post. A) Because the post is in a hole only twice its width, the Osmouk provides a tight fit. In view of this can the hole be less deep than would be usual eg for a post 3 ft above ground could the hole depth be say 9 inches rather than 12 inches? B) Is Osmouk corrosive? Could it damage any underground pipes or cables it comes in contact with? Hi there. There has been no tests to suggest that it will withstand hanging a gate so we cannot give a simple yes or no. We believe that it would be suitable as a quick fix but not for a permanent fix.